Oh yeah!! 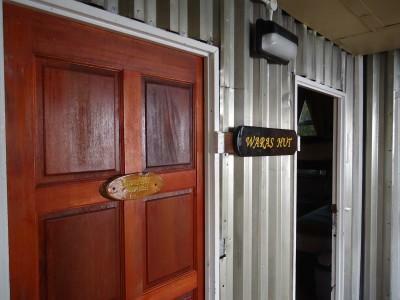 At Waras Hut – our home for the night in Mount Kinabalu. After hiking up the first 6 kilometres for the day and arriving at our base at Laban Rata, it was time to rest our weary heads for the night ready for the main event the next morning – the hike to the peak!! Before it got dark I took a few photos of the Waras Hut which was a lot more cosy than I could have imagined!! They even had showers, lights and blankets. 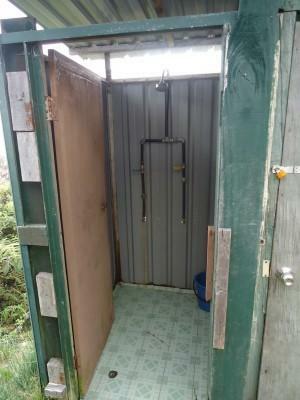 The shower at the Waras Hut at Laban Rata, Malaysia. Outside the hut was a shower. Of course the water was cold but at least you can get clean for a spell. Apparently there is hot water once a day too. Balcony at Waras Hut, Mount Kinabalu. 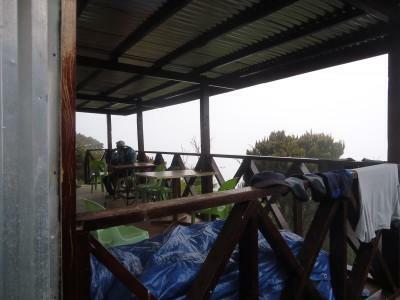 The Waras Hut has a balcony with a view, however it was pretty misty when we were there! 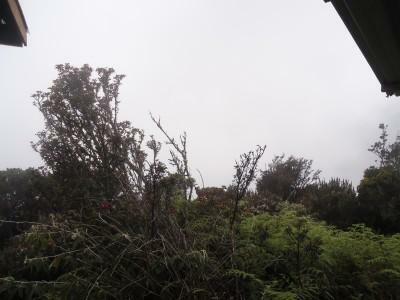 Misty view from the balcony at Waras Hut. We got to the Waras Hut mid afternoon, so we left our stuff there then headed to Laban Rata for dinner and sunset. 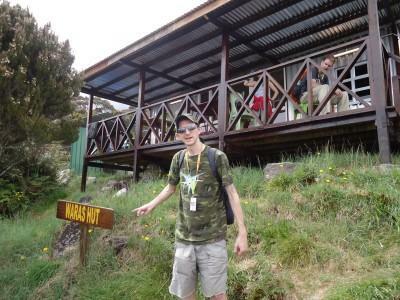 The Waras Hut is the lowest positioned hut out of all the huts at Laban Rata. This ultimately means your hike to the top of the mountain from the morning you wake up will be slightly further, but not by much. There are also locks on the door and you get a key. 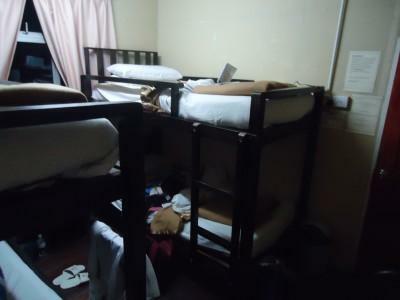 We only shared with one other guy in our 6 bed dorm, despite being told it was full. While you are hiking to the top of the mountain on the second day, you can leave some of your stuff at the Waras Hut in your room. Don’t leave valuables though just in case. Check out time is 12 noon, or you get charged more. 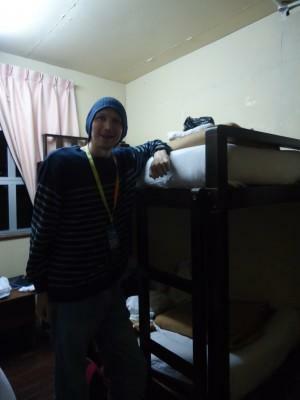 Our dorm at the Waras Hut on Mount Kinabalu. The dorm room is cosy, spacious and warm. Yes you get a nice pillow, mattress, sheets and a quilt. It wasn’t cold at night when we were there (April) but it can get cold in Winter so be aware of that. Also use some insect repellent to fend off any potential mosquitos or bed bugs! Beside my bed for the night in the Waras Hut, Laban Rata, Mount Kinabalu. By dusk we were back at the Waras Hut, quick update of my travel notes, cleaning of the teeth and it was time to sleep before 9.30 pm. The wake up call would be 2 am ish for breakfast and then the hike, so don’t forget to sleep for at least 4 hours if you can to save your energy for the big day!! Next part of the hike to follow!